On Sunday, I took a visit to Seoul Bakery for my third time. I don’t eat Korean food often, but I really like the food they serve here. 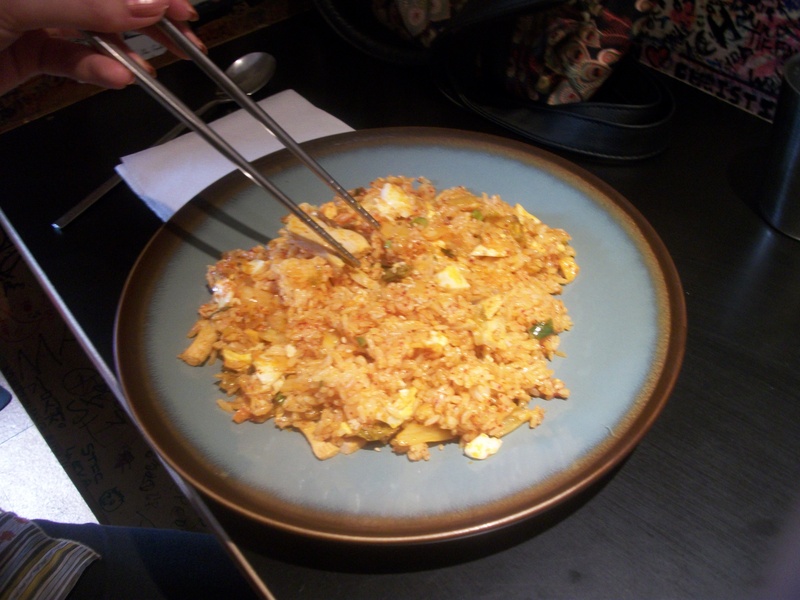 In the past I have ordered kimchi fried rice. I never buy a drink from here because the free water is enough for me. The most I have ever spent on a dish here is £5.00, which is a really good price for what you’re getting! So, why is it so cheap? I have a Korean friend who stayed in London for some time before returning back to Korea. He told me that the ingredients and cooking methods used in Seoul Bakery are not the same as what you’d find in South Korea. The reason being that they are saving money. As they sell the food for such a low price they need to make a profit somehow and this is it. 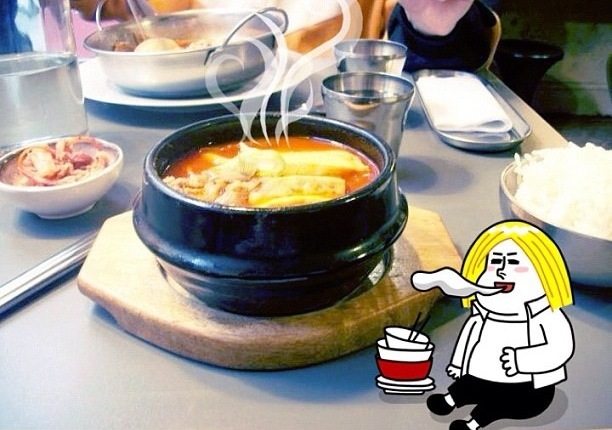 Nevertheless, I personally love the food, and the quantity is really good too! I always leave feeling completely filled up. If you’re out looking for Korean food which is cooked exactly like it is in South Korea, this might not be the place for you. Also, the menu is very limited. There is not much on it. As Seoul Bakery is so well known for their low prices, this place can get busy. The problem is that it’s a very very small restaurant, with roughly 11 seats and 3 tables. If you go at a busy time of the day, you could be left standing by the door, in the way whilst you wait for you table. Even when you get your seat, you could end up sharing a table with complete strangers. When I visited last year, I was sat in the corner sharing a table with some other customers. This made getting up to leave and being served very difficult and awkward. It was very cramped. If you’re not so comfortable with this, I would strongly advise you to come at a time which isn’t popular. Avoid coming at lunch/dinnertime. A great thing about this restaurant though is the atmosphere! There are pens and stickers which you can use to write/stick on the wall. Even Super Junior’s Siwon has done it! The messages are fun to read as well while you wait for you food. Some people write about the food, and some people write about their love for K-Pop. 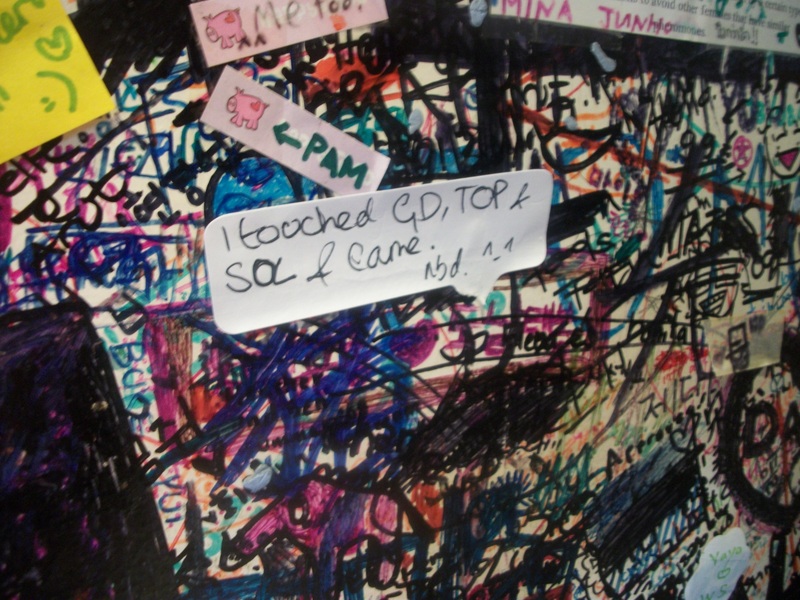 Without a doubt, Seoul Bakery is a popular place for K-Pop fans to visit, as you can see/hear/write about K-Pop here. This is a great way to meet new people! The last time I visited, they were playing GD’s whole album, and other times I’ve also heard 2NE1, Sistar and GD&TOP. Also, if you are self-studying Korean at home, you can put it into practice here! Recently, more international staff have been hired, but there’s still some of the original Korean staff who are more than happy to converse with you in Korean! Whether it’s just a “thank you” or something more, I believe the best way to practice Korean is by speaking it. The staff seem happy to see young people learning their language. 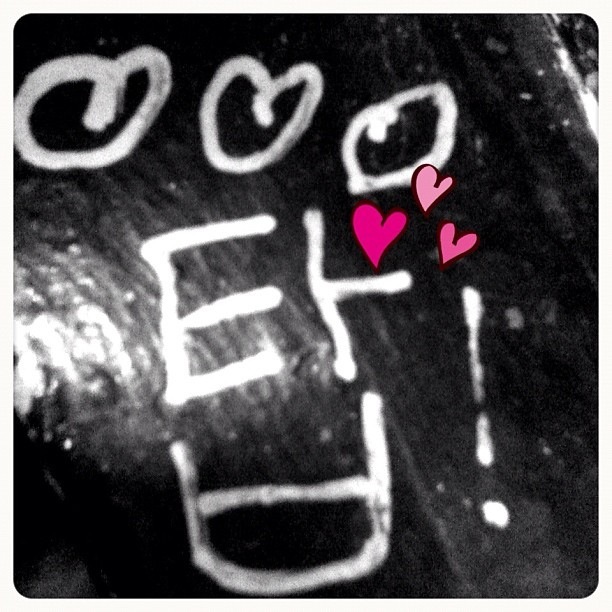 Advantages – K-Pop, wall writing, good price. 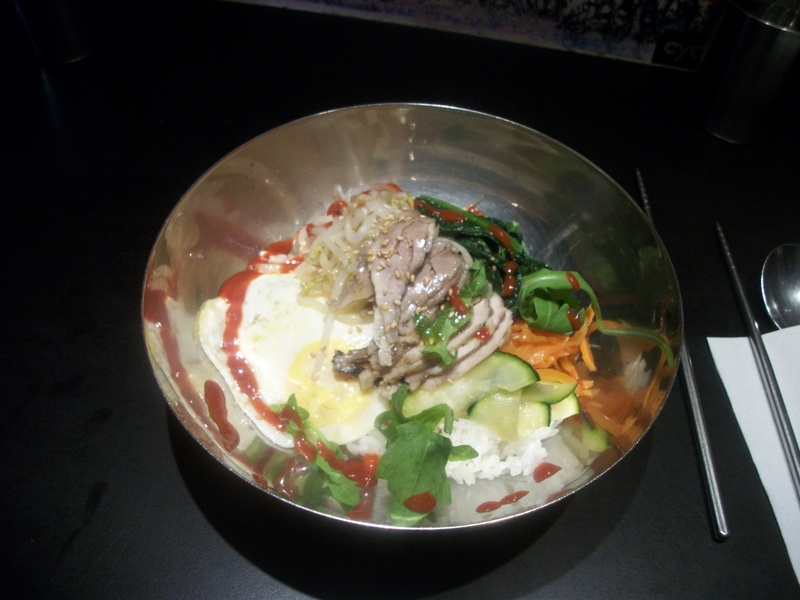 Disadvantages – cramped, small menu, cooked differently than in Korea.